The Enlightenment of the eighteenth century culminated the movement toward modernity initiated by the Renaissance. The philosophes attacked medieval otherworldliness, rejected theology as an avenue to truth, denounced the Christian idea of people’s inherent depravity, and sought to understand nature and society through reason alone, unaided by revelation or priestly authority. They believed that they were inaugurating an enlightened age. Through the power of reason, humanity was at last liberating itself from the fetters of ignorance, superstition, and despotism with which tyrants had bound it in past ages. The Enlightenment grew directly out of the Scientific Revolution. The philosophes admired the discoveries made in the seventeenth century and the method that made them possible. They celebrated Newton as a rare genius who had fully deciphered nature’s mysteries, and they shared with Bacon and Descartes the conviction that science was a great boon to humanity. The philosophes sought to expand knowledge of nature and to apply the scientific method to the human world in order to uncover society’s defects and to achieve appropriate reforms. The philosophes embraced Newton’s science, but they carefully ignored his religious beliefs. They saw themselves as engaged in a monumental struggle against superstition, ignorance, and arbitrary power, all of which, they said, drew sustenance from religion. Newton had uncovered universal laws that explained physical phenomena. Are there not general rules that also apply to human behavior and social institutions? Could a science of man be created that would correspond to and complement Newton’s laws of motion, thus providing clear and certain answers to the problems of the social world? The philosophes believed that the true laws of society are laws of nature. The social world was defective because it lacked the rationality evidenced in nature. Using Newton’s and Bacon’s method of analysis and synthesis, by drawing inferences and eventually universal principles from a careful evaluation of observed phenomena, the philosophes examined society as if it were a physical entity. From its component parts, carefully observed and analyzed, they constructed general laws that applied to the individual and society. Knowledge of these laws would make possible the resolution of the social problems that had persistently burdened humanity. The philosophes rejected the authority of tradition and urged people to have the courage to break with beliefs and institutions that did not meet the test of reason and common sense. To this extent they were the disciples of Descartes, who maintained that doubting inherited knowledge is the first step towards the discovery of truth. Never before had Westerners placed such confidence in the power of the mind. Behind their devotion to reason and worldly knowledge lay an impassioned moral indignation against institutions and beliefs that degraded human beings. For the philosophes science, history and literature had an ethical component; they provided knowledge that improved the individual and society and promoted human happiness. The philosophes waged an unremitting assault on traditional Christianity, denouncing it for harboring superstition and fostering fanaticism and persecution. Relying on the facts of experience, as Bacon had taught, the philosophes dismissed miracles, angels, and devils as violations of natural laws and figments of human imagination that could not be substantiated by normal evidence. With science as an ally, the philosophes challenged Christianity’s claim that it possessed infallible truths, and they ridiculed theologians for compelling obedience to doctrines that defied reason. The philosophes also assailed Christianity’s view of human nature as evil and human beings as helpless without God’s assistance. They believed that society’s leaders should work to improve the possibility of human happiness on earth rather than focusing exclusively on the goal of salvation. 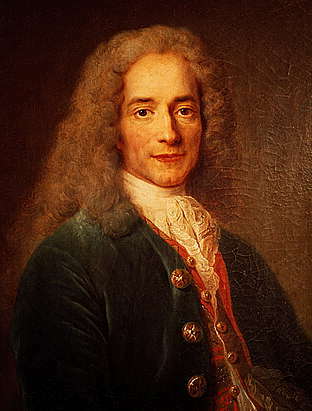 Voltaire was the acknowledged leader of the French Enlightenment. Few of the philosophes had a sharper mind, and none had a sharper wit. Spending more than two years in England, Voltaire acquired a great admiration for English liberty, commerce, science, and religious toleration. His angriest words were directed against established Christianity, to which he attributed many of the ills of French society. Voltaire was appalled by all the crimes committed in the name of God. He condemned religious fanaticism and superstition. He saw the church as a resolute opponent of reason and a more humane society. Voltaire was not a systematic political theorist but a propagandist and polemicist who hurled pointed barbs at all the abuses of the Old Regime. He disdained arbitrary power based on an individual’s whim and advocated rule by a code of law that applies equally to all. He agitated for the English form of constitutional monarchy and was impressed by the large measure of religious toleration and freedom of thought in England. He admired Newton, Locke and Bacon. Even so, Voltaire was no democrat. He had little confidence in the capacities of the common people whom he saw as prone to superstition and fanaticism. Nor did he advocate revolution. What he did favor was reforming society through the advancement of reason and the promotion of science and technology. He fought for freedom of the press, religious toleration, a fair system of criminal justice, proportional taxation, and striking down the privileges of the clergy and aristocracy. He believed that enlightened rulers who used their power to end abuses and promote the common good were the best hope for reform. Where Montesquieu sought to strengthen the aristocracy, Voltaire saw the nobility as the principal barrier to enlightened reform. 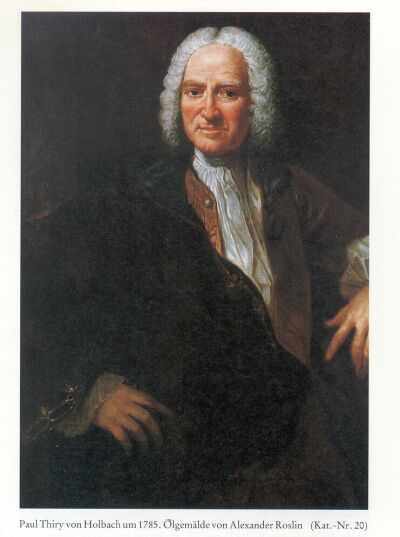 d’Holbach was the Enlightenment’s foremost exponent of atheism. He regarded the idea of God as a product of ignorance, fear and superstition. He believed that to discover the true principles of morality men needed no theology, revelation or gods. They only needed their common sense. He believed that men were wicked only because their reason was not sufficiently developed. Diderot attacked Christianity for also suppressing the natural and healthy expression of our passions. Christianity’s sexual mores were contrary and hurtful to human nature. To forbid people their passions is to forbid them to be fully human and to deny them happiness. He denounced European imperialism and the exploitation of non-Europeans. In his Supplement to the Voyage of Boubainville (1772), Diderot describes a Tahitian elder rebuking the European for bringing sexual shame and guilt to his land. From 1751 to 1772 Diderot embarked upon what many regard as the quintessential Enlightenment project: publication of The Encyclopedie. Diderot sought to collect in one volume all of the new ideas about the world being promulgated by the philosophes. From the outset, the project was plagued by criticism from the church and censorship by the government. In the end, the Encyclopedie could only be published in a highly truncated from. 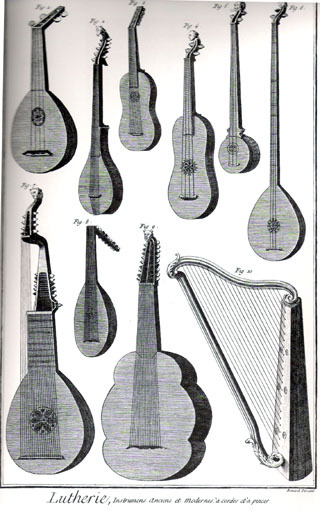 Nevertheless, the Encyclopédie counted 28 volumes (1751–72), with a six-volume supplement (1776–77) and two volumes of tables (1780). It was not primarily or chiefly a revolutionary tract, but instead a work of enormous practical use. All branches of science, manufacture, and agriculture were treated with great fullness. The work was greeted with immense enthusiasm and was reprinted several times. While some philosophes were atheists, most were deists, who rejected miracles, mysteries, prophecies and other fundamentals of revealed Christianity and sought to fashion a natural religion that accorded with reason and science. To deists it seemed reasonable that this magnificently designed universe, operating with clockwork precision, had been created at a point in time by an all-wise Creator. But once God had set the universe in motion, he had refrained from interfering with its operations. In addition to an argument for the existence of God from design, the deists argued that there must have been a first cause to reality. Deists rejected entirely revelation, miracles and original sin. They denied that the Bible was God’s revelation, rejected clerical authority, and dismissed Christian mysteries, prophecies and miracles as violations of a lawful natural order. To the philosophes, Jesus was not divine but an inspiring teacher of morality. Many deists still considered themselves Christians, but the clergy regarded their views with horror. English freethinkers, John Toland (1670-1722) and Matthew Tindal (1657-1733) attacked clerical authority and rejected religious dogmas that seemed to contradict common sense. Their advocacy of a natural religion, one that accorded with reason, was the foundation of deism. Toland argued that if the truth of an idea could not be demonstrated by reason, we should reserve judgment. Tindal advocated a natural religion: one that valued reason, made people cognizant of their moral duties, condemned persecution and had little to do with priests, miracles and revelation. The German philosopher and mathematician Gottfried Wilhelm Leibniz (1646-1716) defined the optimistic and scientific spirit of the age in his Theodicy (1711). He argued that God is good, and everything that exists must therefore be understood as a part of God’s grand design of the universe. Everything that has happened or ever will happen has been predetermined. Every aspect of the universe, even human behavior, can be understood as an effect of God’s initial cause. Even suffering is part of a greater good- God’s divine plan. Whatever appears evil is only misunderstood good. 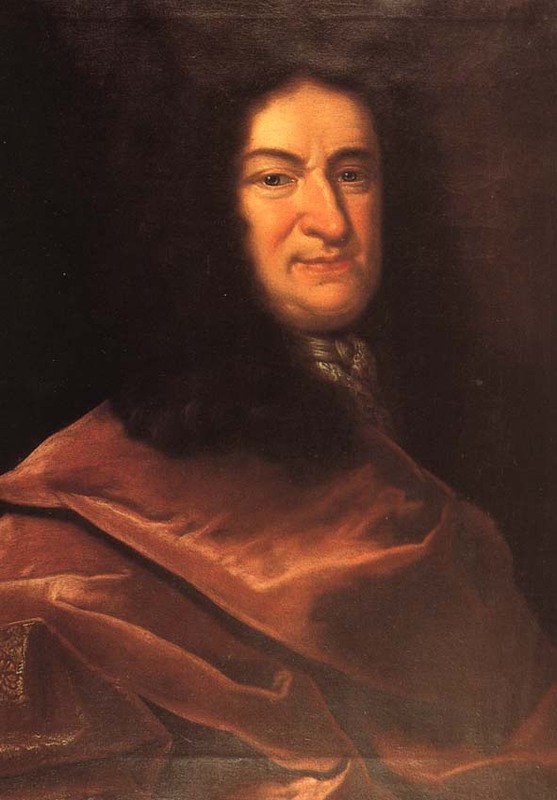 Leibniz is also celebrated in the history of mathematics for independently developing the same mathematical hypotheses that had enabled Newton to create calculus and the Laws of Motion. Montesquieu’s contribution to political theory rests essentially on his The Spirit of the Laws (1748). In this immense work, he held that the study of political and social behavior is not an exercise in abstract thought. Instead, the geographic, economic and historic conditions of a particular country must be taken into consideration when devising a political system for a particular culture. He collected data and then tried to draw general rules governing society. His effort to explain social and political behavior empirically- to found a science of society based on the model of natural science- makes him a forerunner of modern sociology. Montesquieu believed a monarchy was best suited for large areas that require centralized authority to hold it together; its success depends upon a military aristocracy imbued with the sense of honor and a respect for fixed laws. He regarded despotism as a pernicious form of government. Ruling as he wishes and unchecked by law, the despot knows nothing of moderation and institutionalizes cruelty and violence. 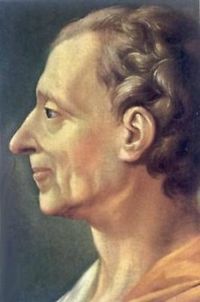 To safeguard liberty from despotism, Montesquieu advocated the principle of separation of powers between executive, legislative and judicial branches of government. In a good government one power balances and checks another power; the framers of the US Constitution were impressed by this argument. To the philosophes advances in the arts and sciences were the hallmarks of progress, but Rousseau, a Geneva born French thinker, questioned reason and suspected that intellectual progress might undermine morality. He drew a sharp distinction between civilized man and natural man. For Rousseau, natural man, the individual prior to the creation of civilized society, was superior to the civilized man in several ways: he was stronger and healthier, and he had greater compassion for suffering humans. Separated from nature and leading an artificial existence, civilized man had become feeble and anxious. Not simply content with satisfying natural needs, he grows envious and greedy, pursues luxury, and sinks into debauchery. Civilized man has lost much of his compassion for his fellow human beings. Rousseau believed the natural man was more willing to listen to the ‘first promptings of humanity’ which were moral. He rejected Hobbes’ view of the natural state as brutish and violent. Instead he saw human beings as inherently good. Humans each possess an inner voice, a conscience, in which a sense of justice and compassion resides. The inner voice does not depend upon intelligence. Indeed, education distorts and perverts our nature. In Rousseau's conception of the original state of nature, there was little difference between individuals, but this natural equality ended when private property emerged, with disastrous results: insatiable ambition, jealousy, rivalry. Force and guile swept away the natural man’s goodness and pity. Rousseau believed that civil society had been invented to protect property. It enabled the rich and the clever to dominate others; it also led to national wars, which had been far more destructive than the occasional acts of violence between individuals which had jarred the state of nature. Rousseau seemed to hold the startling thesis that civilization had ruined humanity, that natural, instinctive, feeling man was morally superior to the thinking man of modern society. Because of his recognition and glorification of the emotion’s primitive power, Rousseau is an important forerunner of the Romanticism. In The Social Contract (1762), Rousseau conceived of the state as a genuine democracy, a moral association that binds the people in freedom, equality and civic devotion. Rousseau admired the Greek city-state, for it was an organic community in which citizens set aside private interests in order to attain the common good. The citizens viewed the polis as a second family that instructed them in proper morality and promoted cultural and intellectual life. Individuals need society to fulfill their moral potential. The ideal polis would be a small state, in which each member had the opportunity to know each other and participate actively in public affairs. Rousseau’s solution is for each person to surrender unconditionally all his rights to the community as a whole and to submit to its authority. 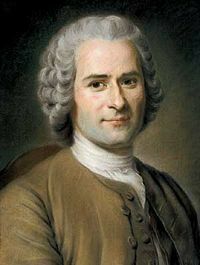 To prevent the assertion of private interests over the common good, Rousseau wants the state to be governed in accordance with the general will. The general will is not a majority or even a unanimous vote. Rather, it is a plainly visible truth that is easily discerned by common sense, by reason and by listening to our hearts. It is the voice of humanity within us. It resembles the Stoic conception of ‘right reason’, of thinking purged of self-interest and unworthy motives so that it accords with the natural law underlying the universe. For Rousseau, true freedom consists of obedience to laws that coincide with the general will, that serve the community’s common interests. Obedience to the general will transforms an individual, motivated by self-interest, appetites, and passions, into a higher type of person: a citizen committed to the community as a whole, one who realizes that personal happiness is inextricably tied to the happiness of others. Like ancient Athens, Rousseau’s state is a direct democracy, in which the citizens themselves, not their representatives, constitute the lawmaking body; in this way the governed and the government are one and the same. Rousseau believes that people will obey the laws they have a voice in making. They will rise above self-interest and rationally seek the common good when they see themselves as participating citizens rather than as subjects of tyrants. The state imagined by Rousseau enshrines equality: its citizens are equally subject to the laws which they equally participate in making. When people enter the social contract, they exchange natural liberty for ‘civil liberty, which is limited by the general will’. People who refuse to obey can be compelled. Rousseau believes that people should be forced to be free. By substituting justice for instinct, submission to the general will encourages reason rather than satisfaction of the appetite. Both Machiavelli and Hobbes sought security through punitive measures imposed by the ruler. Rousseau, in contrast, held that cooperation with fellow citizens, a heightened sense of community, was the avenue to security. Critics of Rousseau assert that his political thought, whose goal is a body of citizens who think alike, buttresses a dangerous collectivism and opens the gates to totalitarianism. Forcing men to be free is a euphemism for making them blindly obedient to the masses or strongest party. To liberals the state was a potential threat to individual freedom and self-development. To Rousseau, the state, by overcoming selfishness and strife among competing interests, enhanced freedom and self-development. Unlike Locke and Montesqiueu and 19th century liberals, Rousseau did not treat governmental authority with caution. He did not place constitutional limits on the state or erect safeguards to protect the individual or minorities. He rejected Locke’s principle that citizens possess rights independent of the state. Since the individual comprised the state, how can he have rights against himself? Rousseau’s state contradicts liberal ideals: it possesses unlimited power, demands submission in the name of the general will, requires the individual to identify his personal life with the totality, deplores diversity, and is intolerant of minorities. His critics maintain that the notion of the general will opened the gates to dictatorship. Rousseau’s notion of the legislator: a charismatic leader who knows what the general will is and feels duty-bound to guide the people to the right choice, inspired Robespierre to justify the Terror. Truth is restricted to only those who agree with the general will; others can be denied their rights, even their lives. The philosophes rejected the Christian belief that human beings are endowed with a sinful nature, a consequence of Adam and Eve’s disobedience of God. Although pessimistic about human nature, they believed in the individual’s essential goodness and in their capacity for moral improvement. The philosophe’s conception of human nature rested heavily on John Locke’s epistemology, or theory of knowledge. To the philosophes, it seemed that Locke had discovered the fundamental principles governing the human mind, an achievement comparable to Newton’s discovery of the laws governing physical bodies. In his Essay Concerning Human Understanding (1690), Locke argued that humans are not born with innate ideas (the idea of God, principles of good and evil, and rules of logic, for example) divinely implanted in their minds as Descartes had maintained. Instead, the human mind is a blank slate (a tabula rasa) upon which sensations derived from contact with the phenomenal world are imprinted. Knowledge is derived from experience. 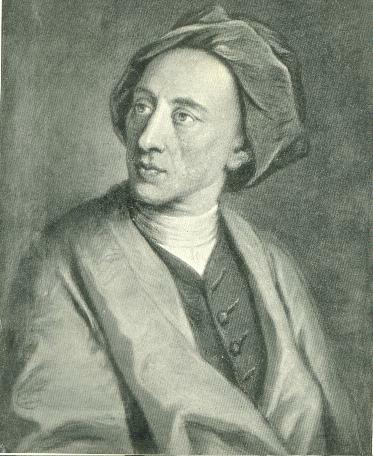 Locke’s epistemology is a principal foundation of the school of philosophy known as empiricism, which is closely associated with British thinkers. Following Locke, British empiricists rejected Descartes’ theory that self-evident ideas are imprinted on the mind. When the mind transcends the realm of concrete experience, they said, it engages in flights of fancy, vain dreams, and idle speculation: barriers to the accumulation of knowledge. Building on Locke’s empiricism, Enlightenment thinkers held that people should not dwell on unanswerable questions, particularly sterile theological ones, but we should seek practical knowledge that enlightens human beings and gives us control over our environment. They argued that all theories must be analyzed, judged, and confirmed on the basis of actual human experience. If there are no innate ideas, then human beings, contrary to Christian doctrine, are not born with original sin: we are not depraved by nature. All that individuals are derives from their particular experiences. If people are provided with a proper environment and education, they will behave morally and they will become intelligent and productive citizens. By their proper use of reason, people could bring their beliefs into harmony with natural law. Reform minded philosophes preferred to believe that evil stemmed from faulty institutions and poor education, both of which could be remedied, rather than from defective human nature. The philosophes regard religious persecution as humanity’s most depraved offense against reason. The philosophes waged a relentless campaign for toleration, continuing a struggle initiated by enlightened 16th and 17th c. thinkers and statesmen on both sides of the Atlantic: Spinoza, William Penn, Roger Williams, Richard Overton and Pierre Bayle. Locke argued that since the doctrines of faith could not be proved, no one has the right to compel others to believe. Censorship was a serious and ever present problem for the philosophes. Both ecclesiastical and ministerial authorities condemned their ideas. Their books were burned, and frequently they were imprisoned. They argued that freedom of thought and the press, meaning everything in print, was essential to liberty. The philosophes’ humanitarianism led to attacks on various forms of brutality tolerated by the state: torture to extract confessions, cruel and unusual punishments, slavery and war. Arguing that torture was not simply inhumane but a totally irrational way of determining guilt or innocence, the philosophes called for the elimination of torture from codes of criminal justice, and several European lands abolished torture in the eighteenth century. They denounced war as a barbaric affront to reason. They agitated in several countries for abolishment of slavery and the slave trade, arguing that the practice was as destructive to the slave owner as it was to the victims. The philosophes were generally optimistic about humanity’s future progress. Accepting Locke’s theory of knowledge, the philosophes attributed evil to a flawed but remediable environment, not to a wicked human nature. They believed that once the environment had been reformed, they could look forward to the day when reason would prevail over superstition, prejudice, intolerance and tyranny. They believed that the progressive advancement of knowledge would promote material and moral progress. The belief in a golden age of earthly happiness held by many philosophes was a secularized version of the millenarian Christian belief in humanity’s cumulative spiritual growth, a process that would culminate in Christ’s return. On the eve of his execution by the Radicals during the French Revolution, Condorcet (1743-1794), a nobleman, expounded a theory of the continuous and indefinite improvement of humanity. He pointed toward a golden age characterized by the triumph of freedom and reason. Other philosophes were not so optimistic. Voltaire, in Candide, protested against the naive optimism that ignored the might of human meanness, ignorance and irrationality. 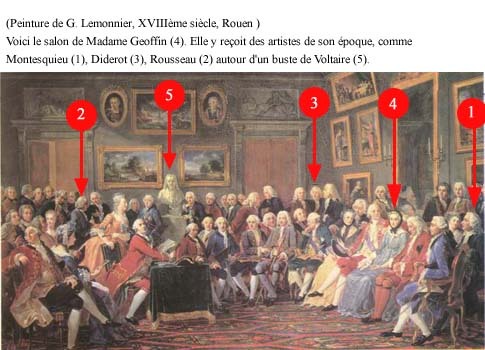 The philosophes themselves were not revolutionaries, but their ideas helped to trigger the French Revolution. By drawing attention to the abuses of the Old Regime and by agitating for reform based on reason, the philosophes helped create a revolutionary mentality. They made people believe that many 18th century institutions had ceased to have any value and that society should be reorganized on entirely new lines. These views acquired the driving force of a new political passion. a political movement that sought proselytes all over the world and applied itself as ardently to converting foreigners as compatriots.... The ideal the French Revolution set before it was not merely a change in the French social system but nothing short of the regeneration of the whole human race. It created an atmosphere of missionary fervor, and indeed, assumed the aspects of a religious revival. The French Revolution attempted to reconstruct society on the basis of Enlightenment thought, which had embraced Locke’s theory of natural rights. The Declaration of the Rights on Man (1789) expressed the liberal and universal goals of the philosophes: the inalienable right of liberty of person, conscience and thought and to equal treatment under the law; it asserted that the government belonged to the people as a whole and insisted that the state has no higher duty than to promote the freedom and autonomy of the individual; it held that all citizens had a right to participate in lawmaking and the voting of taxes. The French reformers eliminated the feudal rights and privileges of the nobility, opened careers to talent rather than birth, provided for equality under the law and the protection of human rights: habeas corpus, trial by jury, and freedom of religion, speech and press. Constitutions invalidated absolutism and the divine right of the monarchy. They established limits to the power of the government and elected parliaments that represented the governed. They abolished slavery, imprisonment for debt, and made plans for free public education. They deprived the church of its special position, abolished the peasants’ manorial obligations and based taxes on income. Inspired by the ideals of equality voiced in the Enlightenment and the French Revolution, women began to demand equal rights. However, the Revolution also unleashed awful social forces, terror as government policy, political extremism, total war, and nationalism, that threatened to negate the liberties desired by the philosophes. When the newly established republic was threatened by foreign invasion and internal enemies, the Jacobins, led by Robespierre, initiated the Reign of Terror. A disciple of Rousseau, Robespierre conceived the national general will as ultimate and infallible. Its realization meant the establishment of a Republic of Virtue, founded on reason, virtue and good citizenship; its denial meant the death of an ideal and a return to despotism. Robespierre was convinced that he knew the right way and that those who impeded the implementation of the new society were not just opponents but sinners who should be liquidated for the good of humanity. With Robespierre we see the crystallization of a revolutionary mentality that aspired to regenerate the world in accordance with a new and secular world-view that carried the force of an absolute faith. They were true believers who resorted to terror in order to create a ‘new man’ and a new social and political order; they sought to carry out Rousseau’s conviction that it is proper to force people to be free. The Reign of Terror poses fundamental questions about the meaning of the French Revolution and the validity of the Enlightenment conception of man. To what extent was the Terror a reversal of the ideals of the Revolution as formulated in the Declaration of the Rights of Man? To what extent did the feverish passions and fascination for violence demonstrated in the mass executions indicate a darker side of human nature beyond the control of reason? The Jacobins unleashed a new social force- total commitment to a political ideology- that would fuel twentieth century totalitarian movements. To fight foreign invaders and put down civil war, the Jacobins mobilized the nation’s human and material resources. The levee en masse decreed by the Convention in 1793 heralded the emergence of modern total war. Acting in the name of the general will, the state could mobilize the entire citizen body, and all citizens had a moral and legal obligation to defend the state. The world wars of the 20th century are the terrible fulfillment of this new development in warfare. Whereas 18th century wars were fought by professional soldiers for limited aims, the French Revolution initialized conscription, the nation in arms, and the mobilization of all the peoples of the state for unrelenting conflict. In calling for the complete devotion of the nation, the French Revolution also heralded the rise of modern nationalism: the image of the nation as the sole divinity that it is permissible to worship. With its potential to trample upon the rights of the individual and other nations, nationalism clashed with the outlook of the philosophes, who were a cosmopolitans with a warm concern for humanity. They would have deemed nationalism, which demanded dedication of body and soul to the nation and in the process submerged thought in a torrent of emotion, to be a repudiation of their cosmopolitanism. It was a dogma capable of evoking wild and dangerous passions and a setback for the process of reason. The reforms of the French Revolution upheld the dignity of the individual, demanded respect for the individual and barred the state from denying these rights. The tragedy of the Western experience is that this humanist vision would be undermined in later generations. And ironically, by spawning total war, nationalism, terror as government policy, and a revolutionary mentality that sought to change the world through violence, the French Revolution itself contributed to the shattering of this vision. The philosophes asserted the self-sufficiency of the human intellect against divine wisdom beyond rational understanding. The Enlightenment legacy is of a rational, secular vision of nature and society, a belief in the efficacy of reform, in religious toleration and a market economy. The denunciation of despotism and championing of natural rights, equality under the law, and constitutional government are the chief foundations of modern liberal government. The ideals of the Enlightenment traversed the Atlantic and helped shape the political thought of the founding fathers. The Declaration of Independence clearly articulated Locke’s basic principles: that government derives its authority from the governed, that human beings are born with natural rights, which government is obliged to protect, and that citizens have the right to resist a government that deprives them of their rights. The Constitution asserted that the people are sovereign and it contained several safeguards against despotic power including Montesquieu’s principle of separation of powers. The Bill of Rights gave recognition to the individual’s inherent rights and explicitly barred government from tampering with them. The Federalist Papers incorporated specific ideas of Locke, Montesquieu, Hume and the Encyclopedia, analyzed political forms in a rational, secular and critical spirit, regards the protection of individual freedom as a principle goal of the state, and expressed a willingness to break with past traditions when they conflicted with good sense. The new American republic gave evidence that men had the capacity for self-improvement and self-government and that progress might be a reality. The philosophes broke with the traditional Christian view of human nature and the purpose of life: men and women were born sinful, suffering and misery were their lot, and relief would come only from God. In contrast, the philosophes expressed confidence in people’s ability to attain happiness by improving the conditions of their earthly existence and articulated a theory of human progress that did not require divine assistance. The idea of secular progress grew out of the Enlightenment. To be sure the promise of the Enlightenment has not been achieved. The world-view of the philosophes suffered from inherent weaknesses. Their emphasis upon the abuses of religion ignored the spiritual sustenance of religion. Their contempt for the Middle Ages reveals a tendency to judge the past according to preconceived norms that might not apply to the period in question. They regarded differences between people as inconsequential since reason was common to all humanity. They believed that man should conform as nearly as possible to a standard conceived as universal, uncomplicated, immutable uniform for every rational human being. This meant that the outlook of a small party of thinkers would become normative for all peoples and cultures. Such an undervaluing of the complex relationship between the past and present, of human diversity and the immense appeal of tradition- even if blatantly opposed to reason- promotes the presumptuous and dangerous belief that society and government can be rapidly molded to fit abstract principles and that reformers need pay only scant attention to historically conditioned cultural forces. The philosophes belief in universal timeless truths that apply to all people, at all times lends credence to commitment to political abstractions which justify any action, including state terror. Critics have accused the philosophes of overvaluing the intellect at the expense of human feelings. They did not recognize the value of feelings as a source of creativity and did not care for their full development. Rather, they viewed the emotions as impediments to clear thinking that had to be overcome. The philosophe’s exuberant view of science and reason also prevented them from realizing that reason is a double-edged sword: it could demean as well as ennoble human personality. The philosophes believed that removing thought from the realm of myth and religion and eliminating irrational forms of social organization would foster human emancipation. They could not foresee that modern bureaucracy and technology, both creations of the rational mind, could fashion a social order that devalues and depersonalizes the individual. Rationality threatens to manipulate the individual as it would any material object. Reason has the capacity to subordinate and sacrifice the individual to theoretical systems, particularly political ideologies. Even so, the Enlightenment ideals have become an intrinsic part of the liberal-democratic tradition and inspired nineteenth and twentieth century reformers.